Termites can be quite useful because they decompose large amounts of decaying organic matter. However, despite this usefulness, they are notorious for their massive wood-eating habits. 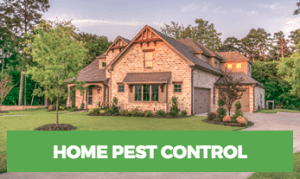 If you’re in need of termite control, contact a professional immediately. Termites are actually one of the oldest known species of insects. They’ve inhabited the world for more than 250 million years. Wood being their preferred food invites them into homes and buildings. Once they invade a space they have the potential to eat away the entire structure. Apart from their feeding preferences, there are many other facts about them which are not as well known. Here are some interesting termite facts you may not have been aware of. As bizarre as this may sound, it is true. Termites really are cockroaches who happen to have a fancy social life compared to other cockroach species. We’ve always been led to believe that they are merely “white ants” but aren’t actually. Discussion and research on termites being roaches have been going on for decades. As soon as scientists discovered ways to use DNA to figure out genealogical relationships, they found that termites are cockroaches which have evolved over time to develop specific social behavior. American entomologists’ organizations voted that it’s time to view termites as roaches. Termites plague earth in huge numbers, even beyond our imagination. Research has proven that the sheer mass of termites can easily outweigh humans on earth. Rough estimates suggest that there are approximately 1000 pounds of termites on earth for every 1 person. Now make the calculations, and their actual numbers will definitely boggle your mind. Experts estimate their combined weight at a single time to be 445 million tons, while humans weigh around 350 million tons. Humans aren’t the only living things affected by insomnia. Insects suffer from it too, especially termites. These pests never sleep, not once in their entire life. This allows these hard-working insects to work, and devour wood 24/7 and 365 days a year. As their only job in life is to eat, they keep on munching until they die. This is the sole reason they are as destructive as they are for wooden structures; because they never take a break! Hard work keeps termites healthy, and therefore they have a longer lifespan. An average worker termite lives for a couple of years, while queen termites can live up to 20 years. Queens of some species are even known to live for 30 – 50 years. Queen termites constantly lay eggs, and their long lifespans mean their numbers grow at an alarming rate. Of all the termite facts, this one is the most disgusting. But as disgusting as it may sound, termites happily feed on each other’s poop. Termites need specific bacteria to digest wood which is present in their gut, but not available at the time of birth. In order to get this bacteria, they engage in trophallaxis which is the practice of ingesting the feces of adult termites. They take in some microbes too which prepare their guts for wood-eating. Unlike bees and other pests, male termites don’t exist just for mating or eating. They carry out their share of responsibilities in their mound. They help the queen in fertilizing eggs, share parental duties, and fulfill the nourishment needs of their young by feeding them pre-digested food. Termites are also known as “silent destroyers” because a majority of the damage they cause occurs without our knowledge. 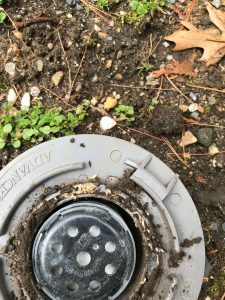 The moment you start seeing signs of a termite infestation in your home, they have already done a vast amount of damage to your home or building. Every year it’s estimated 5 billion dollars in property damage is caused by termites. Unlike most pests, termites are hygiene freaks and are extremely picky about their grooming. They spend a large portion of their day on cleaning and grooming themselves and their young ones. This hygienic lifestyle is also one reason behind their long lifespan. By constantly cleaning themselves, they keep parasites and bacteria away, allowing them and their colonies to stay healthy and live longer. One of the more frightening termite facts is termite queens have a huge egg-laying capacity. Some species can lay 15 – 25 eggs per minute totaling around 40,000 eggs in a single day. This means they lay an egg every 15 seconds. Some queens, like those belonging to the family Termitidae, lay 10 million eggs in a year! Even though termites continually munching on wood around-the-clock, this doesn’t mean they’ll consume anything they come across. They are very specific about the wood they eat. Using resonant frequency to determine the size of the wood, they assess through the vibration recordings which wood to infest and which not to. They possess special sense organs which let them sense vibrations and decide about their food source by sensing vibroacoustic signals emitted by wooden blocks. These are just some of the interesting termite facts that are out there. You can find and discover so much more. 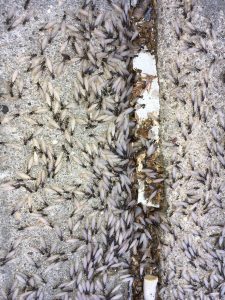 As destructive and problematic as they are, termites are certainly unique insects. 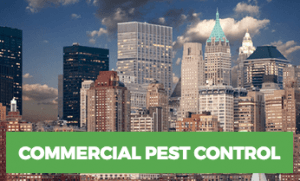 If you are experiencing a termite infestation or think you are and want to know for sure, contact Rest Easy Pest Control, and our termite treatment experts will able to assist you with any and all of your needs. What Is Termites Role in the Ecosystem?